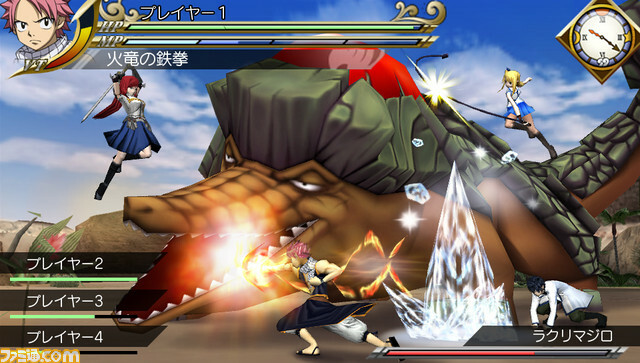 Konami finally lifted the curtain off their PSP Fairy Tail game. 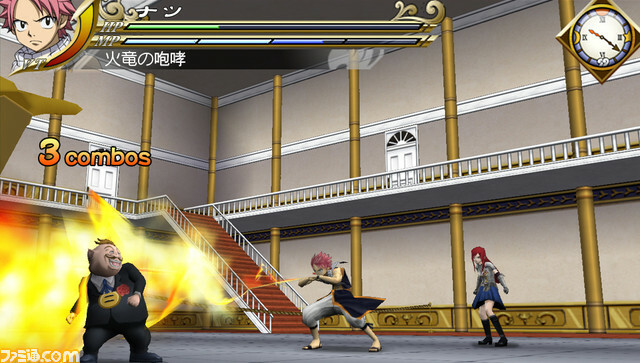 Famitsu has screenshots of it and mentions it has wireless cooperative play. Up to four players can team up and fulfill guild requests. Part of the game?s strategy is picking the right team. 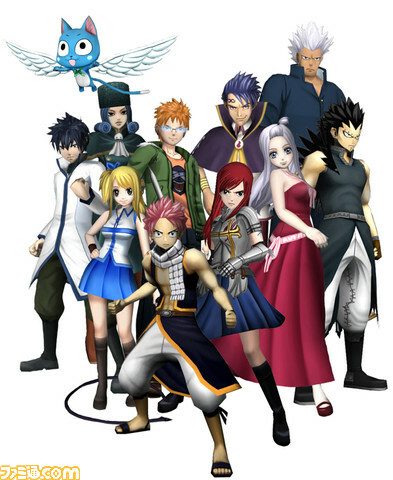 In addition to Natsu and Lucy, Fairy Tail: Portable Guild has original characters made just for the game. 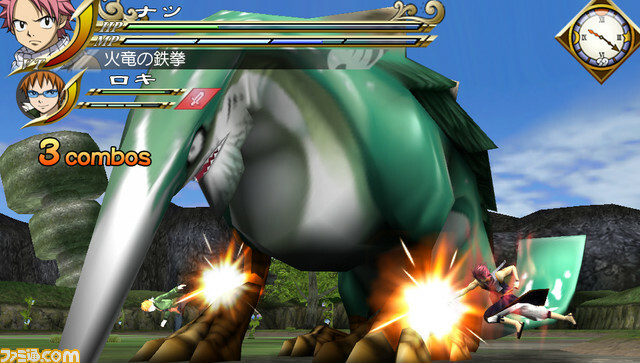 A team of familiar characters in their original freedom, many quests to challenge the request from the guild. Wireless LAN communication, and collaboration with up to 4 people can play, I enjoy a wide range of battle strategies for each team advantage. 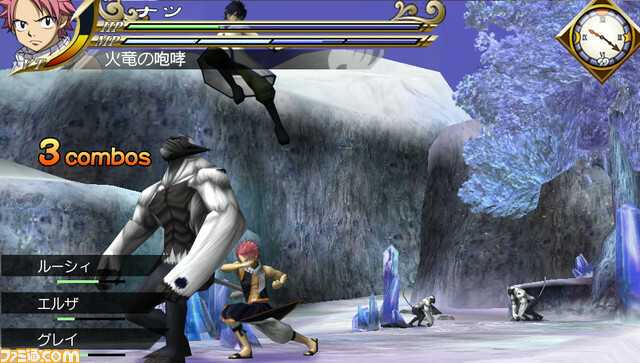 This game is scheduled for release in Japan 06/03/10. Last edited by xiety; 06-02-2010 at 11:04 PM. Louisiana, USA. Southern and Proud! i wanna try mistgun!!! and laxus!!! Last edited by SkyOrange; 05-04-2010 at 04:49 PM. err that PSP seems easy to break. Most probably the flex will easily tear off. I don't need PSP GO then. Stick with basic PSP lol. When will this be released? I really want to try this game even if its japanese. *sigh* I want to play it though its June release ! !